Annette Dancer returns to the blog with this vignette about her #LifeAfterStroke for our special series. Am I giving in or being realistic?… bit of both, probably. 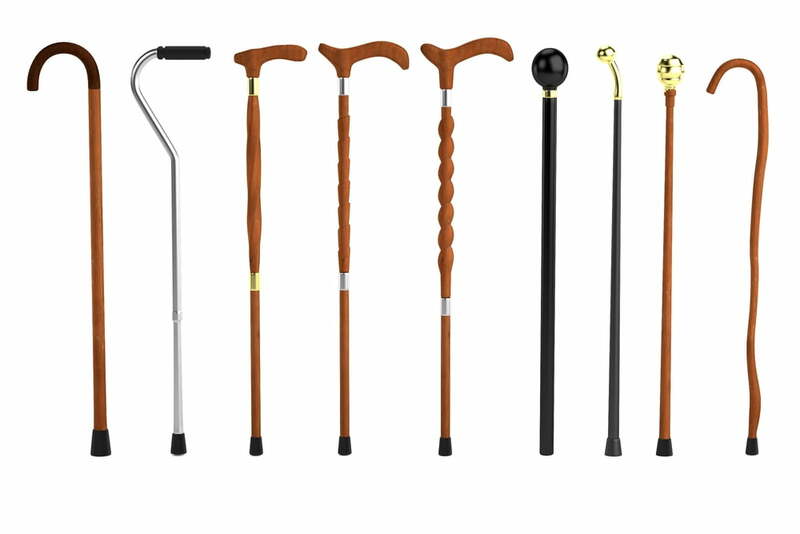 The latest aid in my dysarthria* arsenal is an all-terrain bendy, trendy wotsit on the end of a walking stick. It’s designed to prevent me from rolling into bushes from where, coincidentally, I would be unable to attract attention, being dysarthric following a stroke. Not that I’m an all-terrain type ‘o gal. Never did get the point of walking. If you want to see a view, drive to it. Walking just gives you a good view of shoelaces. But now walking is a necessary evil if I’m to get any exercise at all. It’s no longer a brogue-viewing option. And, ironically, it really does necessitate staring at shoelaces if I’m not to roll into bushes. Alas, being dysarthric, shouting for help as I lurch over a cliff wouldn’t be an option. Dysarthria has robbed me of the ability to shout or, on occasion, even whisper, audibly. Ah the joys of a tongue-twisting stroke. On the whole my speech is intelligible, but it’s only at one volume. (One would think that as “S’s” are my bete noire, shouting “HELP!” wouldn’t be an issue). But I can’t project, you see. I can mouthe “HELP!” beautifully, but unless would-be rescuers are lip-readers or bats they are unlikely to hear my anguished cries from the bushes. Which is why I’ve bought an all-terrain trendy, bendy walking stick as an aid to speech. Am I being realistic, or just giving in? Join in the conversation on Twitter with Annette @francefold and @CochraneUK, or leave a comment on the blog. Following a cerebellar stroke in 2014 Annette has residual dysarthria, left side weakness, lack of coordination and balance issues. She is divorced and lives independently. She has one child and a granddaughter. Her varied 50 year career path took in everything from working on a sewage works to television and film. Latterly, she ran holiday lets in Holmfirth, West Yorkshire. Prior to that she worked for many years in the field of employment, specialising in disability and ergonomics. 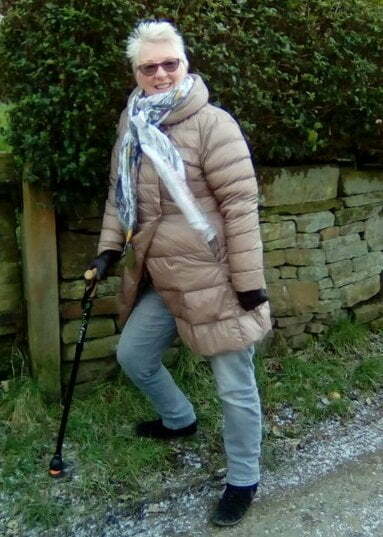 Proudly Yorkshire born and bred, she's lived all her life in the county, with the exception of a brief period of semi-retirement in the mountains of Austria where she indulged a love of writing and paragliding. Now retired, Annette enjoys anything new and creative. She has become involved in speech and limb research relating to her stroke. Her greatest achievement is being named as her granddaughter's hero.